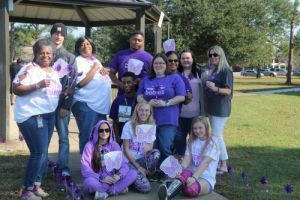 Some of Pensacola State’s Collegiate High students transformed the southwest entrance of Building 11 into a sea of purple pinwheels on Friday, Nov. 17. 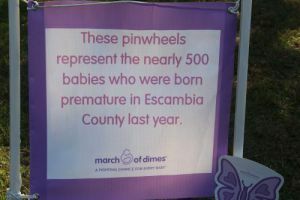 The students – members of the high school’s Future Business Leaders of America chapter – planted 502 purple pinwheels in observance of the March of Dimes March for Babies Awareness Day. 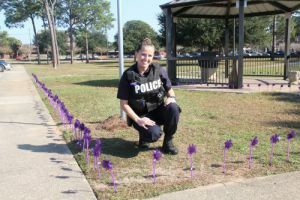 The FBLA gesture hit very close to home for Pensacola State College Police Officer Amanda Gary, whose son, Landon, was born five weeks early on Dec. 17, 2016. 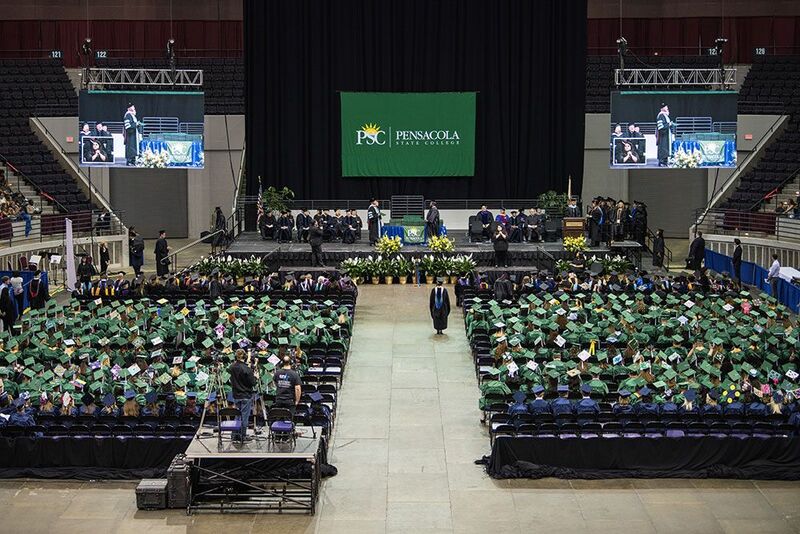 “I’m so glad that our students have taken the initiative and gotten involve with the March of Dimes, which offered services to me after Landon was born,” said Gary, who suffered from pre-eclampsia during pregnancy. On Christmas Day 2016, Gary and her husband, Adam, took their son home. “He’s fine today, a little underweight, but otherwise a healthy, happy boy,” she said. FBLA chapter members – Demarius Daniels, Leslie Etheridge, Amber N. Holman, Breana Hundley, Dajuhn Lyons, Sean D. Miller, Destinee Short and Nicholas Toth – along with Gant, and advisers, Genea Jackson and Mary Henry, and Collegiate High staff all wore purple to show their support. Despite being only 10 months old, the FBLA chapter has already raised more than $500 for the March of Dimes (not including the $150 from this fundraiser). The chapter also came in third place among Escambia County high schools in fundraising for the organization.